The Supreme Court ruled Thursday that Americans have a right to own guns for self-defense and hunting, the justices' first major pronouncement on gun rights in U.S. history. "Gun rights advocates now have a fully recognized individual right to bear arms. But gun control advocates now have a Supreme Court ruling that declares that this right, like other rights in the Constitution, is not absolute. So we finally get some clarity in an area of the law that was begging for it," writes CBS News chief legal analyst Andrew Cohen. Cohen cautions that the ruling will not "immediately end all gun control regulation around the country. 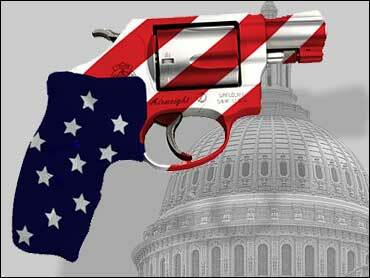 Jurisdictions that want to control guns - especially outside the home - still will be able to do so in some fashion." Read Andrew Cohen's CourtWatch column on Thursday's ruling.